If you own a Westie, love dogs, or even have a soft spot in your heart for animals, then you're going to love this book. 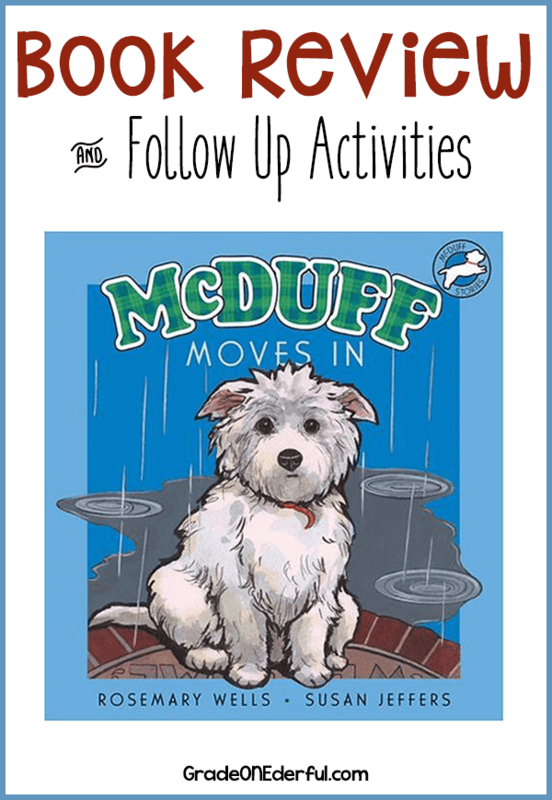 I suspect most of you are already familiar with McDuff, but I love the McDuff stories so much that I just had to highlight one of them for Perfect Picture Book Friday. This is the first book in the series. And yes, I used to share my home with a feisty little Westie called Gizmo. 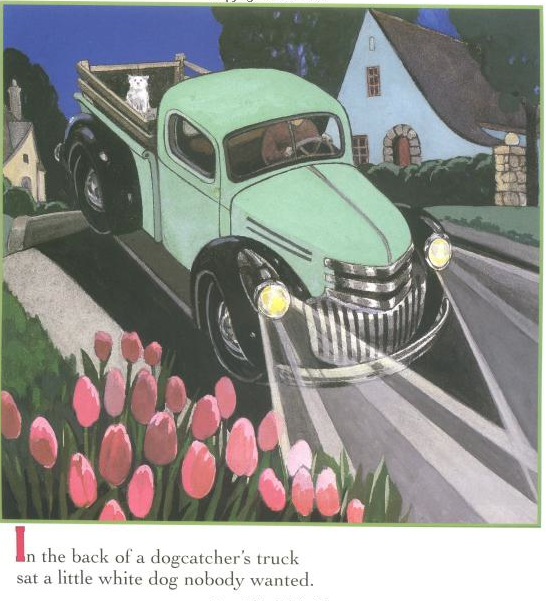 Opening: In the back of a dogcatcher's truck sat a little white dog nobody wanted. Thump! went the truck over a bump in the road. The little dog popped out into the night. Synopsis (From Kirkus Reviews): "A little white dog that nobody wants tumbles off the dogcatcher's truck and into the home of Lucy and Fred in a story that recalls a time when compassion wasn't in such short supply. After his fall from the truck, the little white dog goes from house to house, barking at doors and garnering chilly responses from growling dogs and hissing cats. A young couple in pajamas, robes, and slippers, rousted from their beds, invite the bedraggled dog into their home to feed and bathe, and then set out for the pound. Before they've gone far, they admit to each other that they don't want to take the dog back. A late-night feast of McDuff's Melt in Your Mouth Shortbread Biscuits gives the dog his new name: McDuff." Why I Like This Book: I love the simple illustrations, the dusky palette, and the 1940's (or is it 30's?) 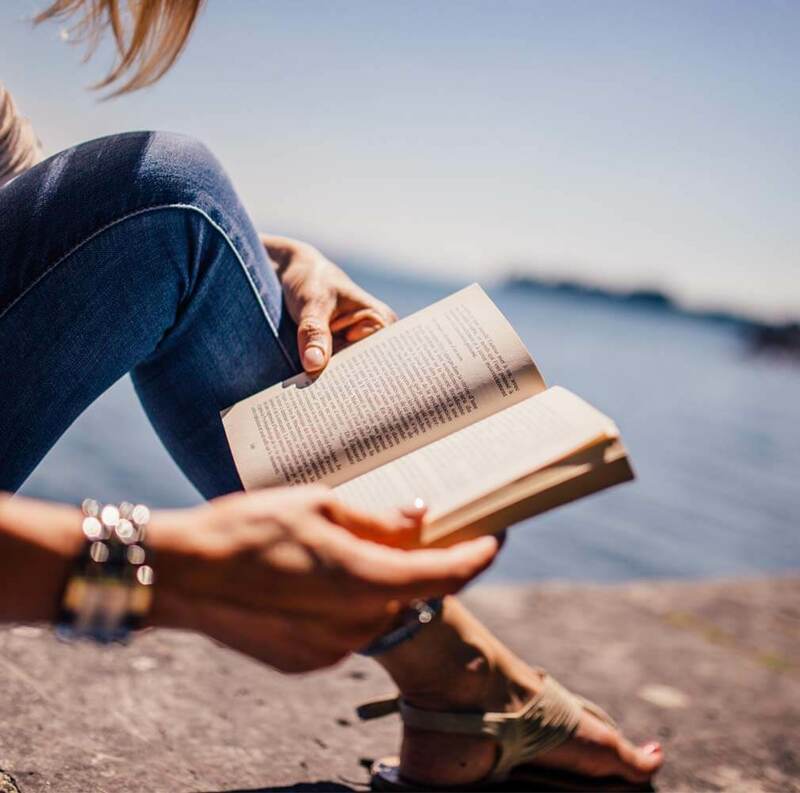 feel of the book. 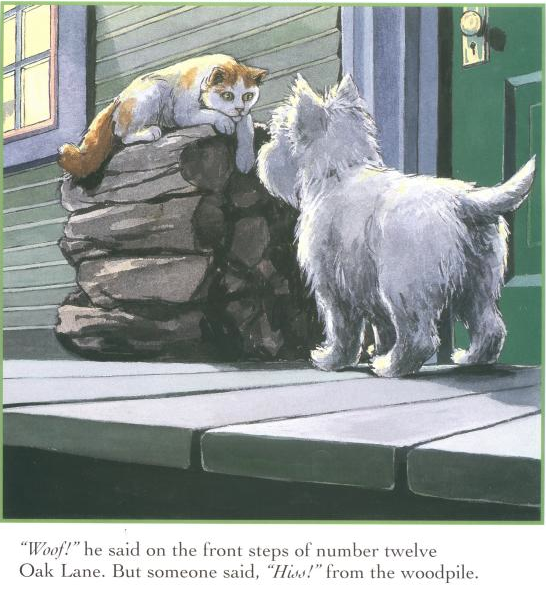 Whenever I read it to my class, my heart goes out to little McDuff. My only minor complaint is that the text is brief, and lacks detail which sometimes makes it a bit more challenging as a read-aloud. I find I really have to put a lot of my own personality into the reading to just ramp up the story-line a bit. But the children love the book and many are able to read it on their own. 1. The Humane Society has lots of lessons plans about pet care. 2. Learning to Give has a 3 lesson unit on pet care and safety. It looks very good. 3. 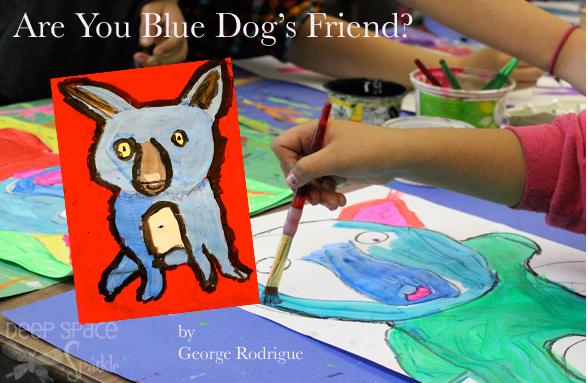 A gorgeous painting activity (from Deep Space Sparkle) based on the book, Are You Blue Dog's Friend, which I think would also work with McDuff. 4. Here's an easy tutorial on how to draw a westie. And here's our sweet, but gruff, little Westie-cross, Gizmo! RIP, sweetie-pie! I like McDuff books. I like to read the McDuff's New Friend at Christmas. He's so stinkin' cute! I love McDuff! My favorite page is the one in the end where they are all asleep. Soo cute! I love what you did to Beth Ann's blog! It's so happy to look at lol. Ditto to what Crystal said . . . you rock at blog makeovers . 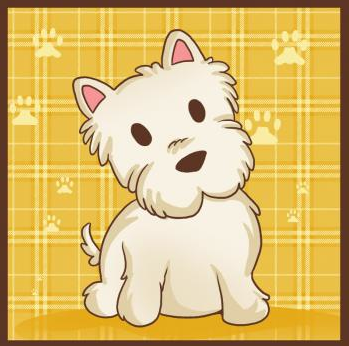 . . and that Westie is way tooooooo cute. 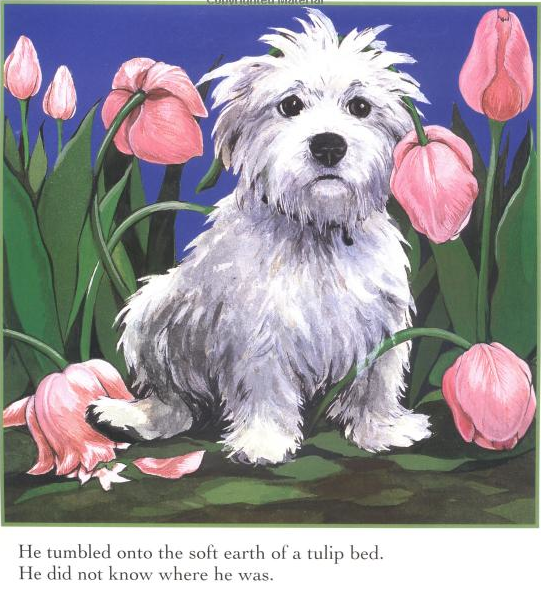 McDuff is so darned cute and I agree with you about the lovely color palette of the illustrations. Excellent activities, thank you! But McDuff is so cute. The illustrations are wonderful I like it that people are sharing some older treasures. And, this sounds like one of them. Thanks for another cute book to add to my "Must Buy" list! I checked out your guest blog post... loved the sight word homework idea! Cute! Yes, we need McDuff and all his sweetness! Superb resources, as ever! I love Rosemary Wells "Max and Ruby" and "Yoko". I didn't know about McDuff! I'll have to find it. I really like your art activities! McDuff is a fave! He always reminds me of my Tamas, even though Tam is a Scot. Rosemary Wells is an amazing author. My wish list of books is getting longer every Friday! Thanks for the great suggestions. You are quickly depleting my purse! You make the books so appealing! Seriously though...thank you! I am your newest follower & I have tagged you! Stop by my blog to see the details. Awww! How sweet. I'm adding this to my list. Your resources are awesome!